Prof. Kenichi Soga and Prof. Kristian Krabbenhoft visited for our mini-symposium entitled Geomechanics Modeling and Computation (co-organized with Prof. Giuseppe Buscarnera) in the 18th U.S. National Congress on Theoretical and Applied Mechanics, in which Zhenhao and Zhefei gave great presentations (details below). In the photo above, Zhefei is showing off the SSI-SMI Lab. Shi, Z., and Hambleton, J. P. (2018). Modeling large, plastic deformation processes in soils based on a simplified sequential kinematic method. 18th U.S. National Congress on Theoretical and Applied Mechanics, Chicago, IL, June 5-9. 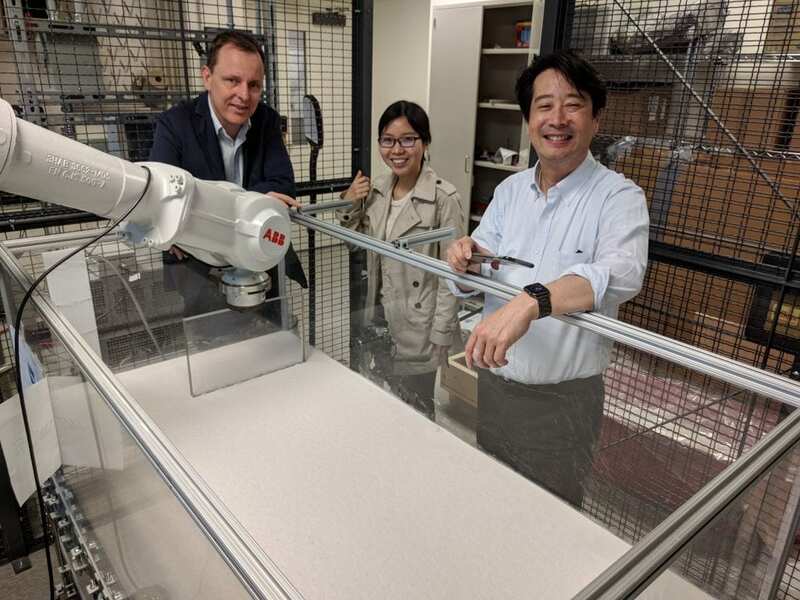 Jin, Z., and Hambleton, J. P. (2018). Simulation of the cutting process in softening and hardening soils. 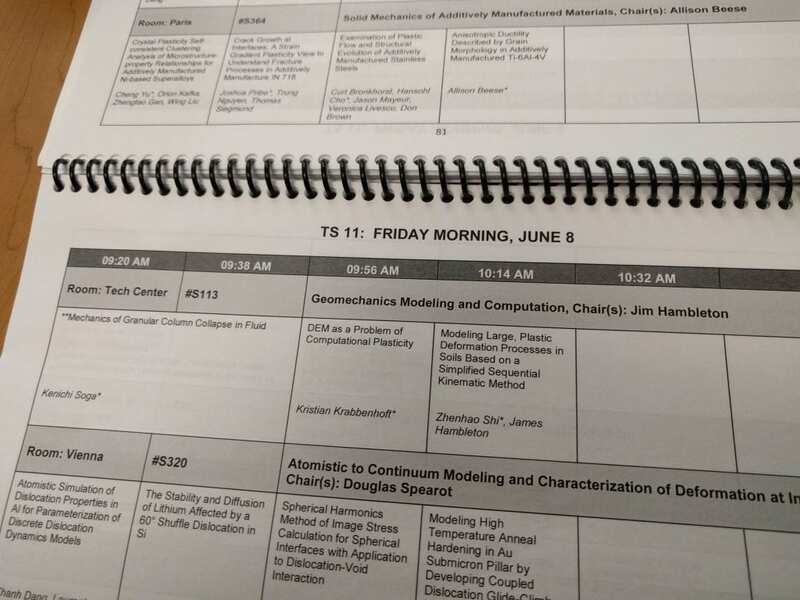 18th U.S. National Congress on Theoretical and Applied Mechanics, Chicago, IL, June 5-9.